With high-definition content becoming mainstream in recent years, manufacturers have been introducing high-end home entertainment soundbars packed with state-of-the-art hardware, and the latest in immersive sound reproduction normally reserved for movie theaters from Dolby Atmos and DTS:X. 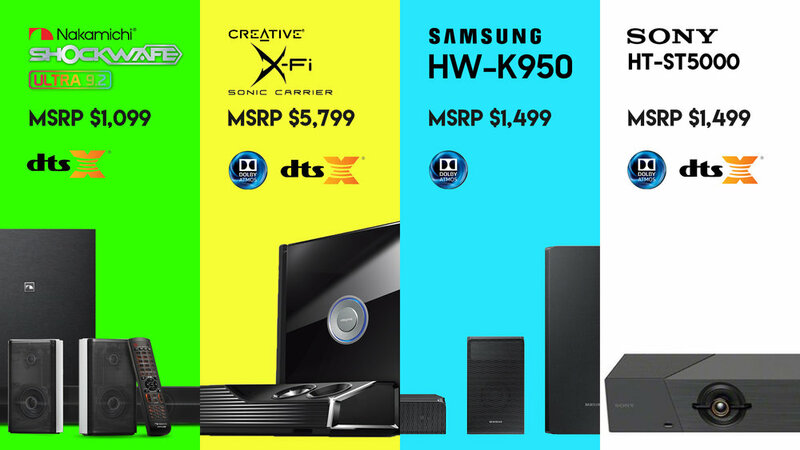 At this year's Consumer Electronics Show in Las Vegas which showcases the latest technologies in home entertainment by the leading manufacturers in the world, we decided to let the consumer decide how we stack up against our competition's best in a series of blind "listening battles". No expensive campaigns, PR or endorsements to sway the listener, only the sound. Read on for event write-up and results. "Nakamichi set out to prove they could achieve the best surround experience in a competitive field, including soundbar systems that cost many times more. They did just that." The Process: We conducted a series of 18 blind "Listening Battles" with over 200 attendees (press, industry veterans, audiophiles and general consumers, etc.) at two venues in Las Vegas and San Francisco. We brought over $10,000 worth of the best soundbars in the market to the Las Vegas Consumer Electronics Show (CES 2018). The sessions were conducted in an untreated room and the soundbars were covered with a black cloth to ensure their anonymity. In each session, we held attendee count between 10-15 to closer replicate a home entertainment experience, as if the attendees were listening with their family or a group of friends. After each session, attendees voted for their favorite soundbar in terms of performance and value. 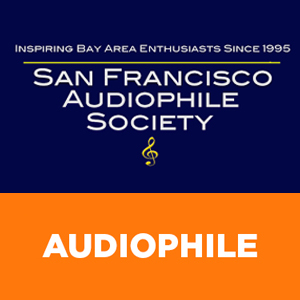 We even brought this blind shoot-out to the most discerning ears out there - Audiophiles - in 2 exclusive sessions for members of the San Francisco Audiophile Society (SFAS), held in San Francisco, California. "In a live demo, I found that the Shockwafe Ultra 9.2, with its included surround speakers and dual external subwoofers, provided an excellent listening experience. Most impressive is the creation of an immersive surround sound bubble with DTS:X content while still maintaining needed discrete audio cues and accurate bass, which is often missing from many soundbar systems. Also, the video end of the equation is not ignored as the Ultra 9.2 provides pass-through for 4K HDR video sources. The Shockwafe Ultra 9.2 definitely bridges the gap between a soundbar and standard home theater receiver-based system for a medium-sized room with its comprehensive connection, feature and speaker set." We wanted our attendees to vote based on listening to popular content in a real-world environment. The listening battles during CES 2018 were held in an untreated living room (14ft x 17ft) at one of the Bellagio Penthouse Suites in Las Vegas, while the exclusive sessions to the San Francisco Audiophile Society (SFAS) members were conducted in an untreated garage (20ft x 23ft). Due to the tight timeline and overwhelming response, each listening battle session was limited to be a contest between 3 soundbars based on popularity of the votes gathered by the registered attendees at our event page. To ensure the fairest testing conditions, every variable other than the competing soundbars was made constant. Each soundbar was calibrated using C-weighted pink noise to output at 88 decibels SPL @ 1 meter, which is slightly louder than a commercial home theater. All soundbars were connected via HDMI 2.0 cables to identical Samsung UBD-K8500 4K UHD Blu-ray players, and audio settings were set "Bitstream unprocessed" for all content that was played. An Epson Home Cinema 2040 1080p 3D 3LCD Home Theater Projector was used to display the content, with video settings set at "1080p @ 60Hz". Lastly, the latest firmware versions were used for all soundbars. All attendees were given a score card at the beginning of each session. They listened to 3 rounds of different content played by the soundbars, all of which were covered in black cloth and labeled as "Soundbar A", "Soundbar B" and "Soundbar C". At the end of each round, they had to rank the soundbars based on how well they sounded (Good = 1 point, Better = 2 points, Best = 3 points). 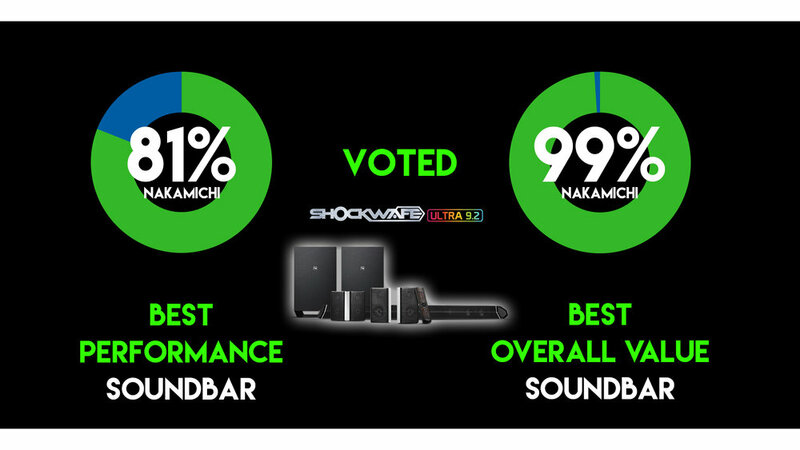 At the end of the 3 rounds, they had to indicate the overall "Best Performance" soundbar in their score card. Following which, the black cloth would be removed, showing everyone exactly which soundbars they were listening to at each point. The respective retail price tags were also pasted on each soundbar, so that attendees could pick the soundbar that offered the overall "Best Value". For further questions on the "Best High-End Soundbar in the World" listening battle event, please send an email to support@nakamichi-usa.com. Best surround sound. Feel like you are in the movie!